Er... okay. Or a lot! I don't remember exactly how I came across The Jealous Curator's website a couple of years ago. I loved it immediately but it freaked me out. I'd check it out now and again, get freaked out then... rinse and repeat. That was until this past May when I was quilting on my Cassingle quilt. I had watched (or mostly listened to) the entire run of The Wire (which might just be the best show ever made! Hello season 4, I think you're perfect!). Post the Wire, longing for something to listen to, on a whim I thought, "Ah, I'll listen to a few Jealous Curator Podcasts". It was on my, someday I'll do that list anyways. It wasn't long until I was completely hooked. I started with the first podcast and worked my way up to the present. In hindsight I wish I had done it the other way because I missed some opportunities in regards to book signings and talks. Anyhoo! This summer I bulldozed my way through pretty much all of them. 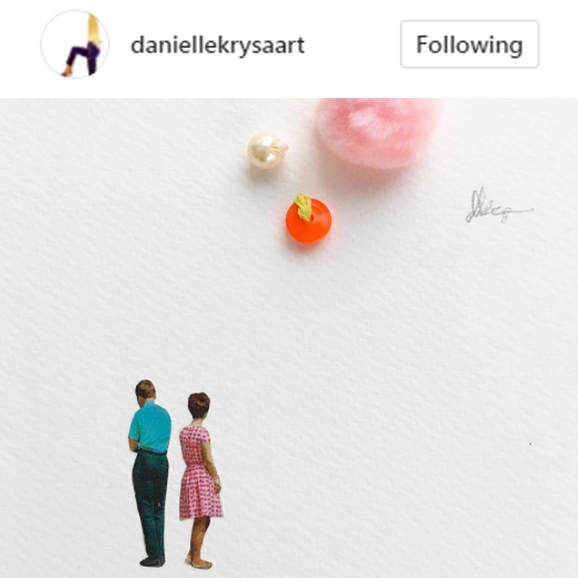 In listening to Danielle Krysa's own journey (the Jealous Curator, she's no longer anonymous) I fell in love with not only the work she curates but HER work, her bravery and... well her. 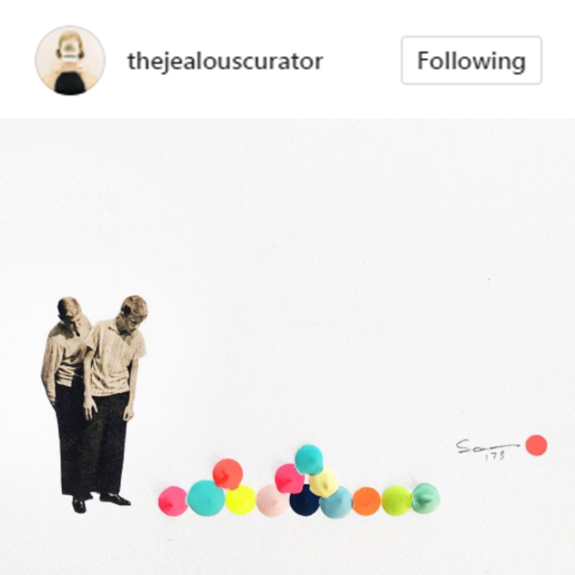 She has two Instagram accounts that are always worth daily peeks at; @thejealouscurator and @daniellekrysaart. 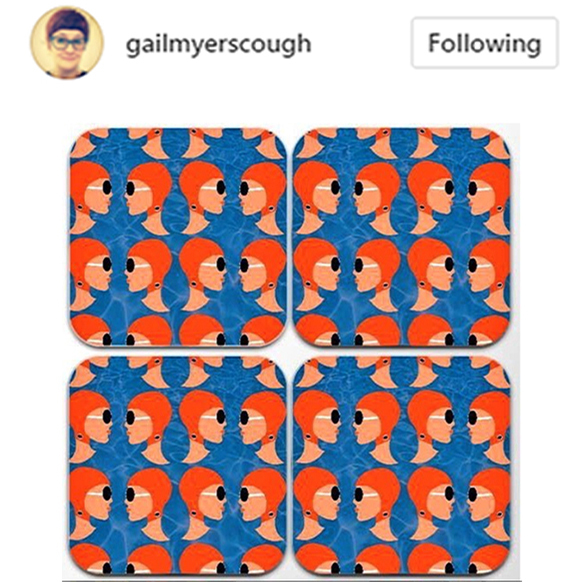 When looking at her work make sure you read the titles, they are just as spectacular as the work! She recently had a show at the Back Gallery Project, with Aimee Henny Brown and Janice Wu, called Uncommon place. I took my boys there early in October. 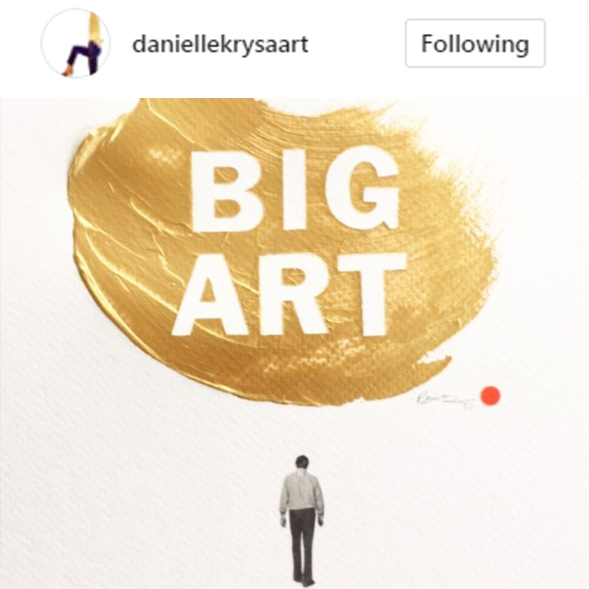 I haven't been able to find my favourite piece online but it was of two boys and their mom looking at a big splotch of gold paint that said, LOO KUP! We had a moment of, "OH! We're life imitating art... or is the the other way around?" 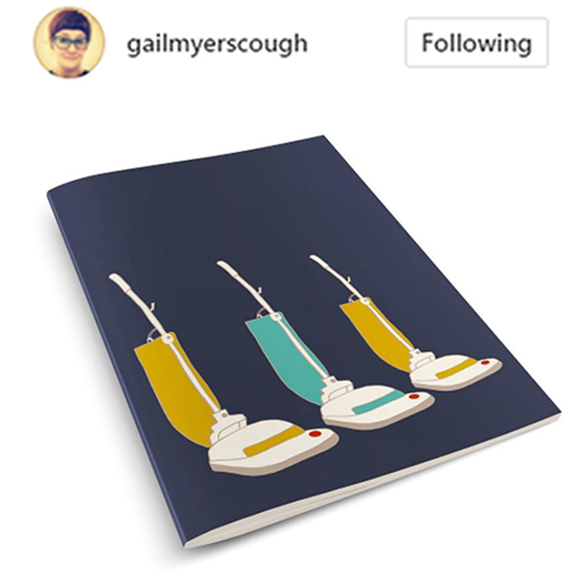 Oh, and I have I mentioned the books she's written: You can check them out here. I'd recommend all of them! I'm currently working my way through You're Inner Critic is a Big Jerk. 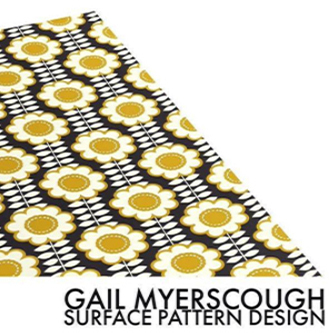 And speaking of recommendations... here's a surface pattern designer to be on the look out for: Gail Myserscough! 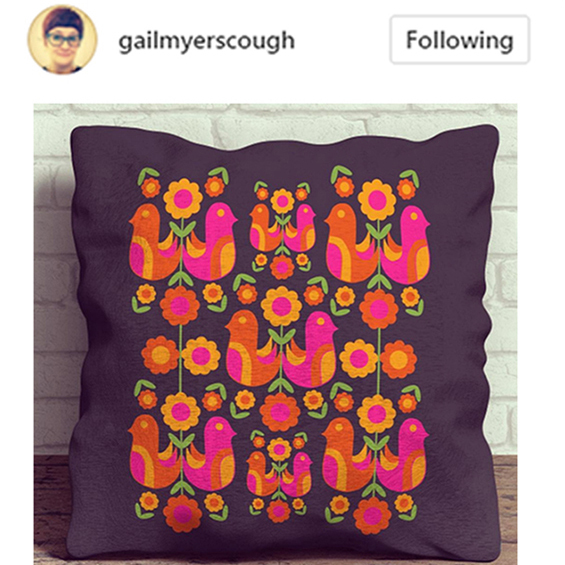 She a UK designer that has a groovy 60's feel to her work. Gosh I love her vacuum cleaners... and cats... and swimmers, don't even get me started on her flowers. Yeah, I'm a fan! Be on the look out for her! And lastly, RECOMMENDED FOR YOUR PLAYLIST: A Hard Rain's Gonna Fall, a Bob Dylan Cover by Walk Off the Earth. 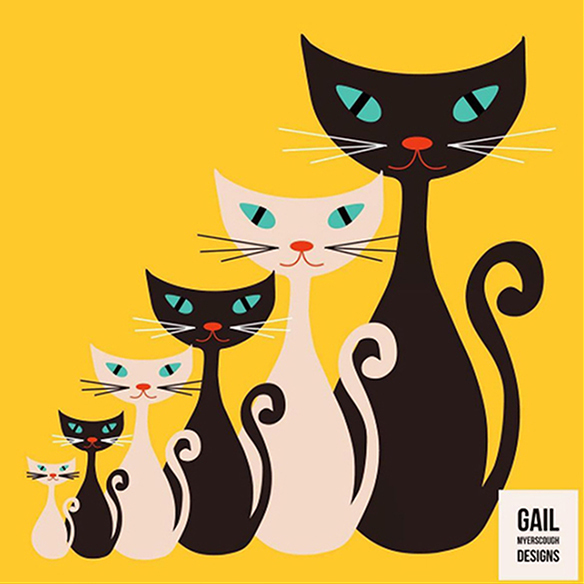 Stay cosy!